Most people are surprised to learn there’s much more to on-page search engine optimization (SEO) than keywords. On-page SEO is the process of optimizing your web pages to rank higher as well as earn more traffic through search engines. While off-page SEO refers to external ranking signals like backlinks, citations, etc. — on-page SEO refers to both your HTML source code as well as content. Let’s take a closer look at a few simple and actionable on-page SEO steps you can take to improve the performance of your pages. Far too often, we see companies who are doing it all wrong! Instead of looking to solve a problem for potential readers and/or prospects, they create content that is self-serving. Today, consumers are smarter than ever and are more hip to overtly-used sales language. Title tags and meta descriptions are still super important. So much so, your title tags and meta descriptions are the first — and may be the only — impression potential readers will have of your site. Make sure your title tags and Meta descriptions are irresistible enough to arrest the reader’s attention and make them click. Short and long-tail keywords should be well integrated. As you’re writing to solve a problem, you should think like a consumer thinks! Furthermore, you should include the words your potential clients would use to learn more about a solution to their problem. Make sure you’ve done your research and are including relevant short and long-tail keywords in your content, title tags, and Meta descriptions. Keep your content fresh. Make it a practice to review your content and keep it up to date. This should be a continual wash and repeat cycle, which will help influence the freshness ranking factor for your pages. Headlining with your header tags. It’s critical your H1, H2, and H3 are in a logical order to communicate the importance of subheaders to search engine crawlers. For example, the title of your page is the H1 and the H2 header tags should be related to (or be a sub-question) the title. What’s a picture worth? We know an image is worth a thousand words, but they can significantly slow down the performance of your site, which can negatively affect your SEO. Make sure your images are compressed to make your page nimble. And adding title file names and alt text can help your pictures rank in image searches as well as make them more accessible to all readers. How easy is your content to read and digest? In general, the easier your content is to read, the better. You can use Flesch-Kincaid Readability tests to determine where you content ranks. Term frequency-inverse document frequency or TF-IDF may sound pretty intimidating, but it’s not. This term simply refers to the number of times a keyword (such as “How to fix a leaky faucet”) is mentioned on your page divided by the number of time in other places. It’s nothing more than a calculation to determine the relevance of “how to fix a leaky faucet” is on your page. 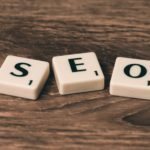 If you can master this relatively simple technique, you can take your on-page SEO to the next level and help improve the visibility of your content. Get your content featured in Position 0 —Google’s Featured Snippets. Featured Snippets are type of search engine result designed to provide users with a direct, concise answer to their questions — directly on the SERP page without the user needing to click through on any specific result. Featured snippets come in a range of sizes and shapes, including bulleted lists, paragraphs, numbered lists, tables, YouTube videos, images, and more. Meta robots tag allows crawling. If you’re blocking Google bots from crawling your website, you will never be found. In addition, you should make sure your URL is included in the sitemap. Internal linking is critical. If you create a blog post called “How to fix a leaky faucet,” you should have other pages linking to this page with anchor text that includes “How to fix a leaky faucet.” This will help ensure Google knows the keyword is important and the page is actually about fixing leaky faucets. Schema markup is a semantic vocabulary code you can add to your site to assist search engines in returning better results for users. By adding relative schema markup, you can spoon feed search engines what your content and pages are about. We get it — optimizing your content can seem confusing, especially when you consider the countless other tasks vying for your attention as a business owner. However, you don’t have to do it alone. Ready to Run offers a full team of SEO specialists who will work to optimize your content and improve visibility, so your content won’t go unnoticed. What is Google Hummingbird and why should your business care? Since there are many misconceptions about this topic, I will try to explain what Hummingbird actually does in order to illustrate the reason it matters to your businesses. Google Hummingbird is the new search algorithm and is widely believed to be a one of the most significant evolutions search engine functionality. As we have mentioned in previous articles, search engine algorithms are continuously being altered to improve user experience. Google implements several hundred subtle modifications to its algorithm each year, but according to Amit Singhal, Vice President of Google Search, Google Hummingbird is perhaps the most significant alteration to the algorithm since 2001. After Google’s announcement about the update, many outrageous predictions about Hummingbird leading to a SEO apocalypse surfaced over the Internet. Despite the over reactions of some misguided individuals, Hummingbird will not dramatically impact your ranking on Google. That being said, it does represent a significant step forward for semantic search and provides a wealth of insights into the direction the Internet is heading. Google Hummingbird is a major milestone in semantic search, or the effort to improve search results by making search engines better at understanding the intent of a search query. This is nothing new to Google. For over a decade, Google started using information in custom settings and profiles to influence search results. In the past, Google would deliver search results based on the content that matched the queried terms. But relying on individual keywords alone has its limitations. Both of the queries are essentially looking for the same information in two different ways. But what if a business describes itself as a restaurant and not a place to eat on its website? Google is getting better at recognizing the meaning of terms or phrases in the context of a query. In this case, Google may consider “restaurant” as a possible substitute for “place” to better satisfy this query. According to Google, longer search queries represent a significant portion of the total search volume. Before Hummingbird, these queries have tended to produce less accurate results because they usually include several words with no correlation to the intended search. This presents a number of issues, which brings us to our next section. Why do long-tail searches matter to Google? From an advertising perspective, Google is interested in long-tail search for the ability to sell ads for these queries. Google has a difficult time showing the volume around these queries and establishing a value behind bidding for these Adwords. In just a few years, tremendous growth has been seen in mobile and tablet devices, capturing a significant portion of the total search marketshare. One mobile search trend has interesting implications for Google, is the popularity of using long-tail “conversational” or “natural language” search queries on mobile devices. Smartphone users often have the ability to speak their commands into the phone to voice recognition artificial intelligence programs, such as Apple’s Siri, which causes a more speech-like, conversational query. Mobile represents a new and emerging market over which Google will want to quickly establish dominance. The ability to better understand conversational search queries is therefore crucial. Without a way to improve long-tail search results, mobile searches would be skewed toward the irrelevant terms in these more verbose searches rather than what was intended. Hummingbird attempts to address this issue, using the entire search query to better understand and apply intelligent scoring to the individual words as they relate to each other in the context of the whole. 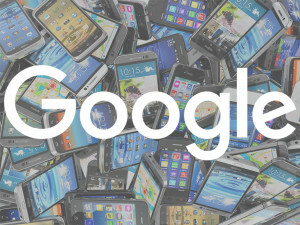 Google understands that mobile has a role to play in the future of search. In order to remain the top search engine, Google must be able to offer a superior experience for users across all devices. Keywords still play an important role in the semantic analysis (or method for recognizing the concepts and themes associated with your content). However, website owners should move away from long-tail search optimization and focus on creating content with greater depth about specific concepts. In the past, the only way to appear in results for longer, often unusually worded searches, meant including them in your website content. As a recent post by Ammon Johns explains in greater detail, Hummingbird will (in theory) have the ability to interpret these verbose queries and return the same results as a clearly worded short-term search. For website owners, targeting and tracking long-tail search results should be a thing of the past. Google wants us all to stop focusing on wording and start creating great content around specific topics. The goal should be to offer original, high-quality content that provides value or addresses a specific topic will improve your Author Rank Authority. It is not a coincidence that the most significant update to Google in over a decade, which deals primarily with mobile search issues, comes on the heels of an unprecedented growth in mobile search. Hummingbird is likely just the first in a number of changes Google will make to improve user experience – including new indexing criteria. During a presentation at the the 2013 Pubcon Conference, Matt Cutts, Head of the Google Webspam Team, emphasized that focusing on mobile strategies, such as a responsive website design, will be a crucial aspect of any online presence. “Mobile is huge,” said Matt Cutts. “No matter how savvy you are, I think you might be surprised at how quickly mobile is growing.” Matt Cutts also highlighted some remarkable facts about mobile searches on Youtube, which are illustrated by the charts seen below. Hummingbird will favor marketers: Offer interesting, unique content tailored to your target audience’s interests. 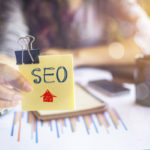 SEO Rules Remain the Same: If you have developed a SEO strategy that complies with Panda and Penguin, these current SEO efforts should not have to change. Improved Conversational Search: Examining terms within the context of the entire query, Google is understanding and providing more weight to the relevant terms in a search. Mobile is Huge: If you have not started making mobile web experiences a major factor, now is the time. Hummingbird is certain to have more changes and implications in the future. It is impossible to predict just how this newest update will play into future for Google, but the smart online marketer will begin adopting these best practices today and be prepared for what may come tomorrow. Images not only help a webpage look great, they are also an important part of a website’s search rankings. The following will examine some of the most important elements search engines use to determine which images to index. Numerous specialty search engines, also known as “verticals,” exist within major search engines, such as Google, Yahoo and Bing. A vertical is simply search engine that focuses on a specific type of Web content, such as the items on the Google menu bar (YouTube, Google Shopping, Google Images etc.). Following the best practices will not only increase the likelihood of a webpage being ranked higher for relevant keywords in a general search, but also the image being found through a vertical. In addition to being found through searches on these verticals, content within these categories can also appear in the general web search results. Therefore, it is important to optimize all forms of online content to be indexed by search engines. Descriptive Alt Tags: Search engines are able to see that an image is on a webpage, but it cannot read what the image is without a little help. Alt tags provide search engines with a description of the image, which are used in indexing images in search results. Title Tags: Like alt tags, title tags also help search engine bots know what the image displayed is all about. It should be short, catchy and descriptive. In FireFox, Opera, and other browsers, the title tag pops up when a visitor hovers over an image. Image File Names: Include keywords that describe the image in its file name. For example, the file name web-design-professional.jpg would be a better name than stockpic18662k334d772.jpg for the image below. Also notice that the name of the file is more than one word, which have been separated or “parsed” with hyphens. Although website copy should be written naturally, image files should exclude non-keywords in the title. Image Size: Large photos should be resized to help preserve page speed. The image size should also be included in the html on the page to give search engines details on the size of the photo. (Note that the image size code should not be used to resize the image on the page). Images should be resized prior to being uploaded to the website. Add Keyword Rich Captions: Adding keyword-rich captions directly above or beneath an image can also improve its chances of being indexed higher by search engines. Anchor Text: Just like using links to a page or article, including good anchor text is important when linking to an image. Using the picture below as an example once again, change generic links, such as “View Photo,” to something like “Website Developer – View Larger” to include keywords in the anchor text. File Formats: If you have access to Photoshop or a similar program, take advantage of the “Save for Web” option to optimize a photo. If this is not an option, try to save photos in JPEG format and set to a resolution of 72 pixels per inch. A full discussion of image format & SEO is beyond the scope of this article, website owners may also want to look into Google’s WebP image format. In addition to these more technical aspects, some general SEO rules apply to images as well. Avoid Keyword Stuffing: Stuffing keywords into any of the areas discussed above will be seen as a “black hat” SEO tactic by search engine and have a negative impact on search rankings. Instead, use keyword-rich text that is written in plain English. User Experience: Like all other content on a website, images should be chosen based upon the value it will add to the visitor’s experience. Carefully select pictures or graphics that will both resonate as well as immediately communicate the message of that web page. Put differently, if a picture is worth a thousand words, make sure it reinforces a message consistent with the text on the page. Consider Image Quality: Good quality photos make for a better user experience, so avoid using blurry or low resolution photos. However, before you start uploading huge, high resolution images; remember files that are too large will take longer to load, slowing down page speed and diminishing the overall user experience. Image Placement: Many visitors will not scroll to the bottom of a page, so it is generally a good idea to position images higher on a page. According to Google’s guidelines, image captions, titles, and other content surrounding an image provides search engines with important information used to understand an image. To conclude, be mindful of how search engines read and index content and how that relates to search ranking. Following best practices for image optimization and general search engine optimization, your website will see drastic improvements. 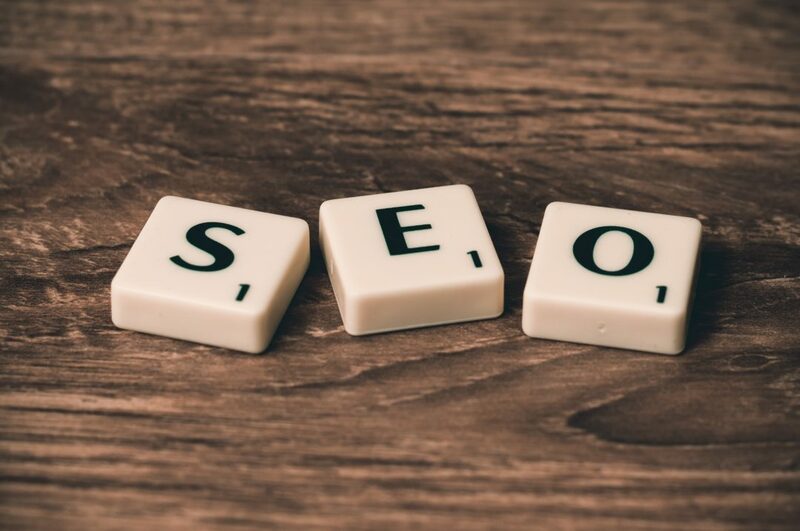 One question that seems to come up over and over pertains to Search Engine Optimization (SEO) and the importance of meta keywords. Plainly stated, we don’t use them. For the simple reason that they are almost completely irrelevant and often do more harm than good. Nearly all major search engines that once used them stopped in the late 1990′s. For some reason, this is a SEO myth that never seems to die. In 2009, Google announced on its official blog that it does not use meta tags for ranking websites (and has no intention of using them in the future). Why? About a decade ago, keyword meta tags quickly became a way to stuff a website with irrelevant keywords to dive traffic from unrelated search terms. As a result of this persistent abuse, most search engines quickly abandoned (or significantly reduced the importance of) keyword meta tags in ranking websites. Below is a video of Matt Cutts, the head of Google’s Webspam team, giving an explanation of why keyword meta tags are not a factor for Google. In addition to Google, other search engines have made similar announcements regarding the keyword meta tag. In October of 2009, Yahoo! had made an announcement similar to the one Google made just one month before. In addition, Bing representatives have stated that meta keywords are mainly used to identify spammers, but if used perfectly will make very minor improvements to a website’s search ranking. It is very likely meta keywords will hang around for some time, but we hope this article will make even a small contribution towards debunking this myth. There are many factors that effect search rankings and many more articles will be posted to provide methods and insights into improving SEO. But for now, we encourage all website owners to focus on improving user experience, which is perhaps the most important place to start in any SEO strategy. As a business owner, researching the seemingly endless online marketing options may be overwhelming at first. The internet is full of web development companies and online marketing firms that try to convince business owners to invest in all kinds of products and services. If you are uncertain about the best way to start promoting your brand online, the following provides simple ways to start an online brand for a small business. 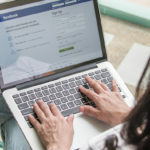 Social media sites are great tools for businesses to connect to customers, capture new leads and improve its website’s rank on major search engines, such as Google, Yahoo and Bing. However, as important as it is for a business to have social media accounts, it is even more important to use them appropriately. Do a few things well: Rather than try to be on every social media site, pick only a few that are most likely to have your target audience and actively participate on them. Understand the platform: Different social settings can call for very different behavior, which is also true for social media. Try to look at the ways other users already interact on the social media site to get a better understanding of the ways to participate. Monitor social media sites: Customers use social media to communicate with businesses and expect responses to be made promptly. Failing to check social media sites can result in customer dissatisfaction. A professional website does not mean complex or expensive per se. In fact, a small business should create a website that is well laid out, easy to navigate and engages the target audience. Demonstrate Value: Keep the language clear and easy to read. Avoid industry jargon and focus on the benefits of your products and services. Mobile Design: Allow customers to visit your website from any location with mobile and tablet version. Frequent Updates: Websites that are active with frequent updates are heavily favored by search engines. Consider adding a blog to your website and publishing content on a regular basis. Local business search sites are a powerful tool for allowing customers to find your business online. These are websites that provide reviews and other information about businesses, such as Superpages, Yelp, Citysearch etc. In addition to submitting a website to major search engines, find business directories that will help potential customers find you online. Provide details: Add as much relevant content in your listing as possible, including contact information, link to your website, photos, videos and the products or services the business offers. Update information: Remove any out dated content, such as old contact information. Niche directories: Local directories that are relevant to your business can provide better results. These directories also appeal to an audience that is interested in your industry and will likely drive more traffic to a website. Build over time: Avoid submitting to as many directories as possible all at once. Search engines look unfavorably on businesses that just spam directories. Among the many trends effecting social marketing is SoLoMo (pronounced So-Low-Moe) which is short for Social-Local-Mobile. Retailers and service providers are utilizing this strategy to attract new customers and stay connected with current ones. Today’s patrons want to feel special and to have a more personalized shopping experience. With the popularity of smart phones and tablets, Geo-Location Technology has taken the lead with apps like Yelp, Urbanspoon, Foursquare and even Facebook. More and more, search engines have given increased weight to geo-location and review based mediums. 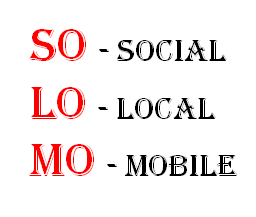 To break down ”SoLoMo”: Social refers to connectivity and interaction with customers. This also refers to user reviews and ratings. Local is the understanding and data collection of a business’ clientele and location. Mobile refers to portability and the overwhelming use of smartphones and other portable devices to make decisions on the go. Search engines are giving more weight to location based data such as check-ins and customer reviews. Search Engine Optimization, properly utilizing these technologies is vital to SEO. When searches are made from a computer, the search engine bases the location on the IP Address. However, this does not provide the hyper-local information necessary for most small businesses and mom & pop stores to compete with national chains. According to a recent survey by Pew, around 42% of Americans with cell phones have a smart phone, this translates to approximately 98 million people. A recent survey also found that over 70 million of the smartphone owners use apps on a daily basis. According to CNN TECH, the bulk of the growth has been with the college educated population under 65 years of age. Mashable reports, “… adoption rates are still stronger among certain demographics. College graduates, 18-35 year olds and those with an annual household income of $75,000 or more are 60% more likely to have a smartphone than other groups.” With these numbers, the marketing potential cannot be ignored. Many of the apps that allow Check-Ins offer the ability for businesses to market promotions and to even act as a customer loyalty reward system. Once a user checks-in using the GPS in the phone, they can receive discounts or receive incentives for repeat patronage. Users can write reviews from their seats, upload photos and brag about where they are at the time. The more activity a location has, the better the search engine optimization (SEO), increasing the likelihood that your business will get found over your local competition. It is ill-advised not to stay engaged with customers through the various social media accounts. This is much like having a phone number and answering machine but never checking the voice mail or returning calls. Customers like to feel that their opinion matters and offers the business the ability to see their prospective of what your business’ strengths and potential weaknesses that can be changed. Even with negative feedback a business has the opportunity to invite the guest or customer back to hopefully have a more enjoyable experience. Often customers will amend their public negativity to reflect their improved opinion. Data gathering is another essential that mobility and other social mediums offer. Most programs have breakdowns of users’ gender, age and activity to see what is working/or not to help focus efforts to achieve maximum results. Analytical programs will also show which sites are generating traffic to your website. This also shows who your customer base is to allow your business to cater to the current base or alter efforts to attract a different demographic. Like it or not, companies that understand and utilize SoLoMo will be at the forefront of marketing. Push marketing tactics are becoming a thing of the past as pull marketing is increasingly appealing to consumers. Stay connected, understand your customer base and improve patronage and sales through Social Local Mobile strategies.